Rainbow Nannies of Orange County and the greater Los Angeles area are committed to registering housekeepers who are exceptionally immaculate, detailed oriented, and very accommodating. They take full responsibility for cleaning and maintaining any private household. A housekeeper’s primary job responsibility is to maintain the employer’s home in a clean and presentable manner at all times. Our housekeepers are available for live- in or live- out positions. We schedule each family according to their individual needs. 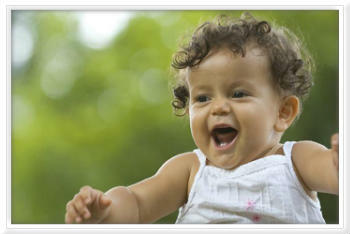 You may choose to employ Rainbow Nannies housekeepers on a full time or part time basis. A housekeeper is ‘hands on’ in the performance of his/her job responsibilities. A housekeeper may supervise other household staff, but this is not a part of their normal duties. The position of housekeeper does not require special education. Skills and traits required include industriousness, time management, organizational skills, tact and honesty. Local recommendations are also necessary. This may be a uniformed staff position. Housekeepers are usually supervised by the homeowner in smaller households, and by the household manager in larger households and estates. A housekeeper may be paid on either an hourly or a salaried basis. The part-time housekeeper will generally earn $15 to $25 per hour. The full-time housekeeper will earn between $35K and $50K per year, plus benefits. The salaries are subject to change based on experience and past positions.